After weeks of preparation, the day had finally arrived and the Outstanding Team of the First Lebanon Raspberry Pi Competition 2016 was receiving its Orientation Session before traveling to the UK. We went over the detailed trip schedule with the team listing the do(s) and don’t(s), security issues and the many details of processes and procedures. We felt confident that our young team was going to have a unique learning experience and an exceptional homestay with Languages United and their very professional team, and they did. Living with UK host families made this trip so much more personal and the young team was really appreciative, taking with them small gifts and a taste of Lebanon. The Study Trip was customized to the needs of the young team, mixing cultures, innovation and technology. They had sessions on the Internet of Things (IoT) and the world of innovation and technology, they visited schools and met with students their age who were using the Raspberry Pi. They had a tour of Bath but also had the opportunity to walk through London starting from Buckingham Palace and St James’s Park, to Big Ben and the London Eye. The peak of their visit to London was their visits to museums, particularly the London Science Museum. The IoT (Internet of Things) session was delivered by Mr. Dan Brian who explained the “IFTTT” (if this, then that) concept taking them from simple to more complex chains of conditional statements in automation and the concept of Test Driven Development (TDD) using “Ruby” programming language examples. The session about innovation was presented by Dr. Ali Hadavizadeh, deputy head of enterprise at The University of Bath Innovation Centre, who explained concepts such as idea maturity, funding sources, users, risk taking and the various stages of company growth. The students were so pleased to hear him say: “We are looking for young people like you, ambitious and tech oriented, to spread coding and tech projects in Bath”. 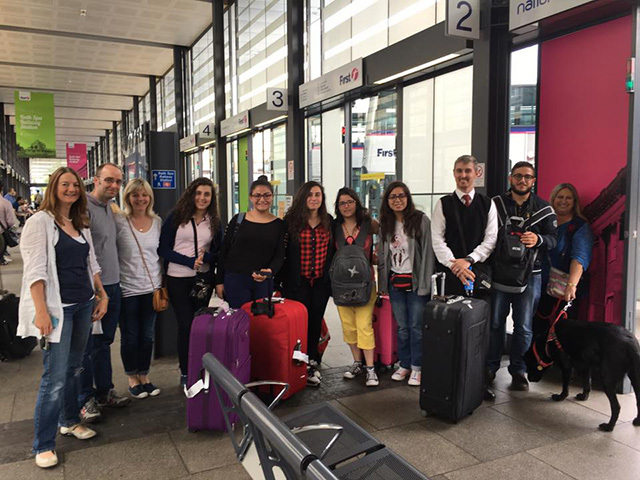 They felt important, and more confident about themselves; they visited the University of Bath later on during the week. In Bristol, they met with Mr. Nick Sturge, director of “The Engine Shed”, a hub that generates and encourages innovations, he spoke to them about MVPs (Minimum Viable Product). They also met Mr. Barn from “My Action Replay”, a partner company of the Engine Shed, he talked about their experience and how they combined technology with sports to make a successful product. They also enjoyed learning about “Tiddlybots” little robots that function on the Raspberry Pi. At the Royal High School in Bath, the young Lebanese students enjoyed knowing about the Raspberry pi projects that UK students had worked on. In addition, they took a tour of the school and attended a chemistry and biology class with other students. They were fascinated to meet British students working on their Raspberry Pi projects and enjoyed making friends and meeting young people from different nationalities and cultures. They felt very accomplished to receive a certificate from Languages United to close their study trip. They returned to their hometown Zahle inspired and a few weeks later paid a visit to the British Ambassador to Lebanon HE Hugo Shorter. They gave the Ambassador a detailed account of their trip and shared their next steps to make the Techno Greenhouse a reality. IEA will continue supporting their project and helping them become a reality. 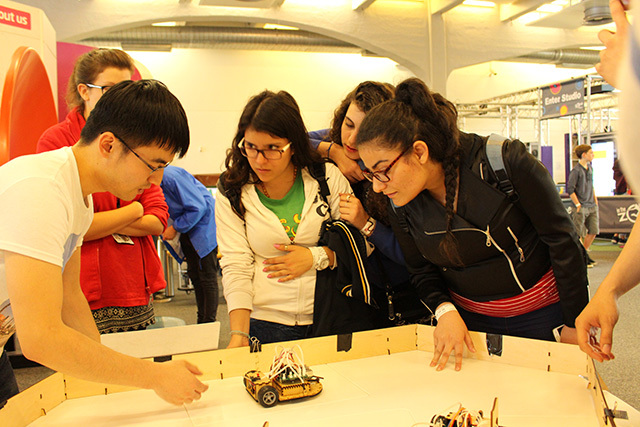 The Raspberry Pi Lebanon competition is a partnership between between UKLTH and IEA run under the patronage of the Ministry of Education and Higher Education. You can read students’ full report here.